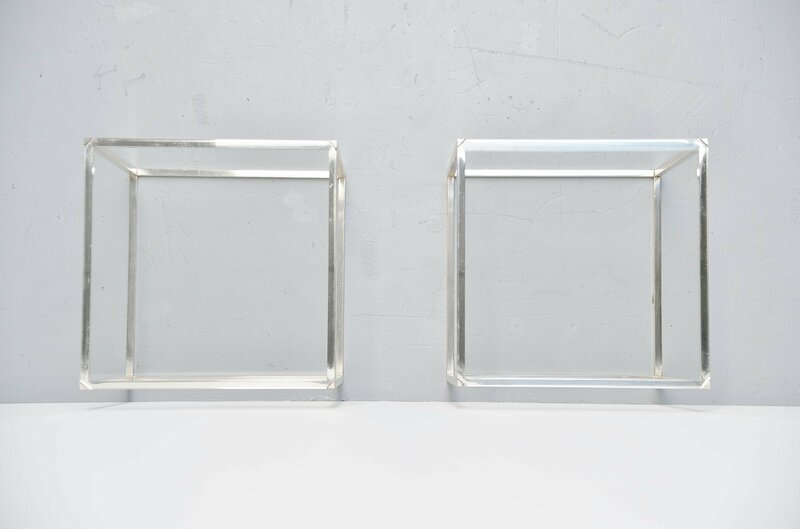 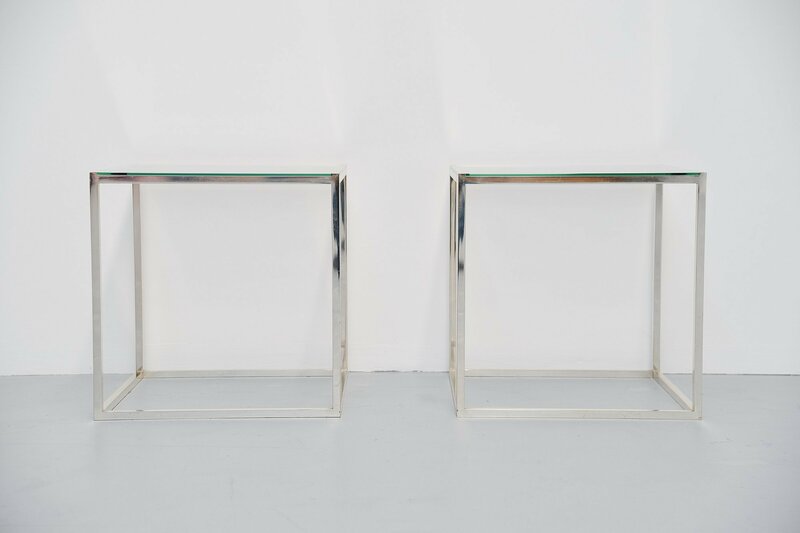 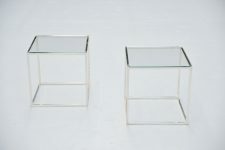 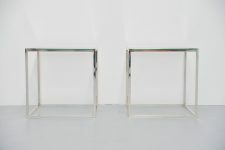 Nice pair of cubic side tables designed and manufactured by Lin Sabattini, Italy 1970. 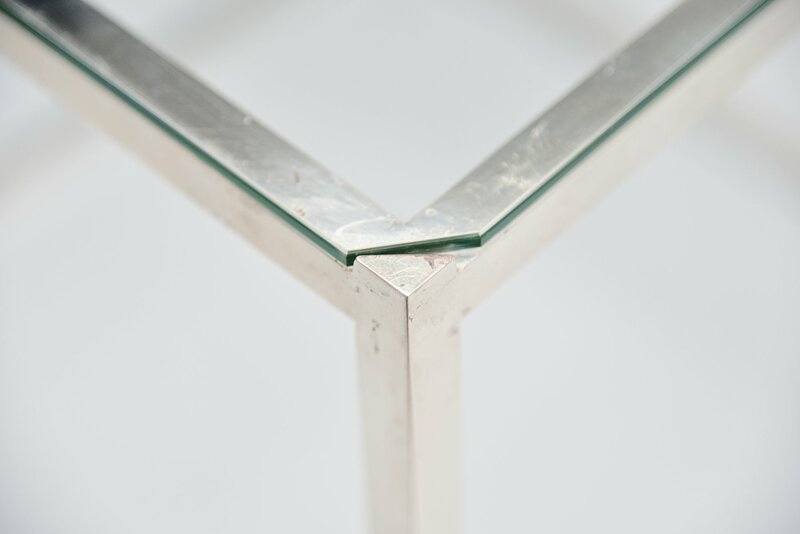 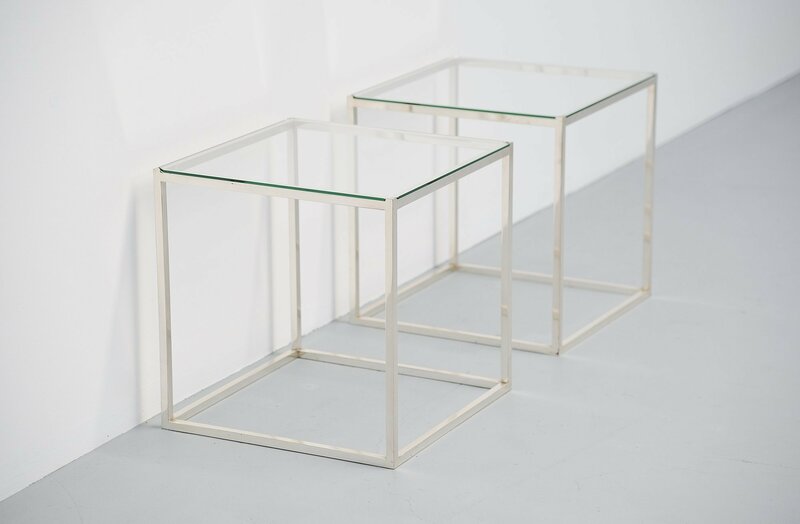 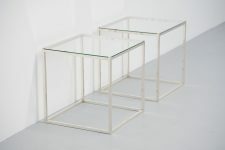 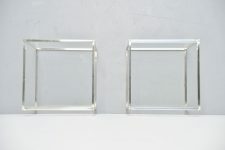 These tables have silver plated metal frames and glass tops. The frames have a nice patina from age and usage, the glass is in excellent condition. 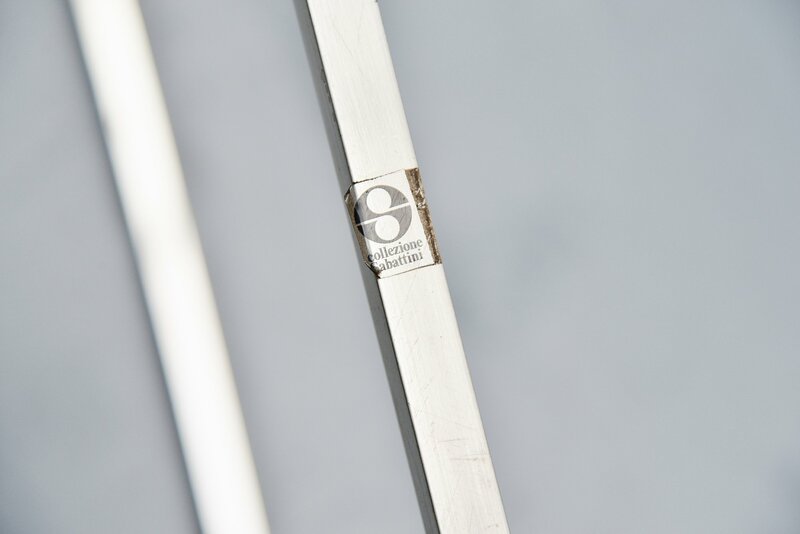 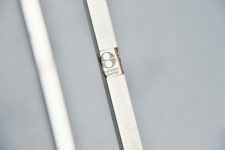 The tables are marked with the Sabattini sticker on the underside. 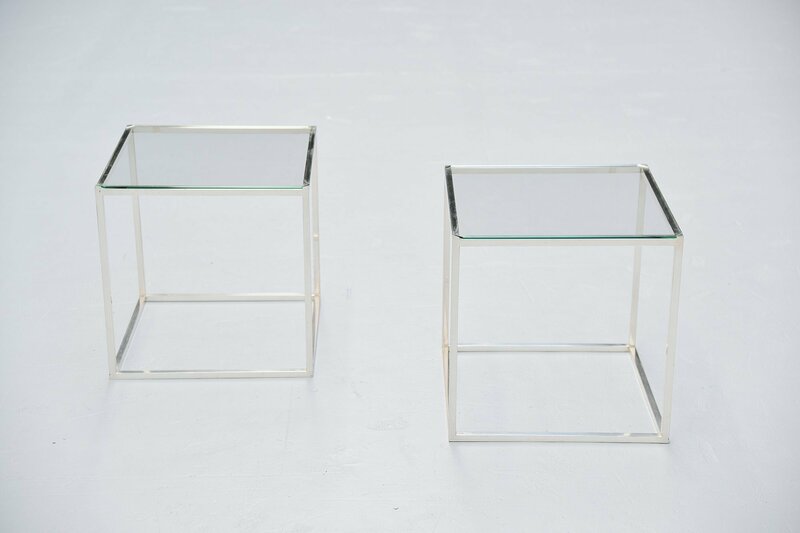 Very nice and decorative pair of side tables.